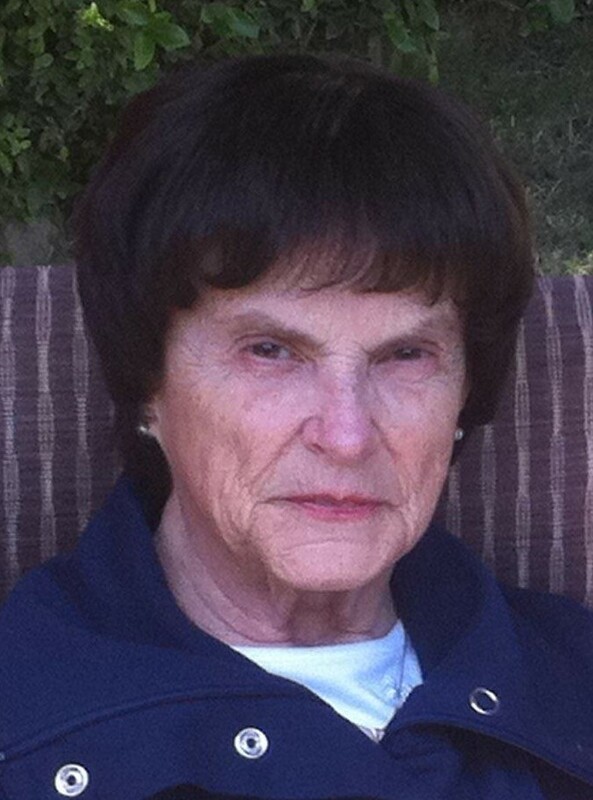 Falmouth, ME – Elaine Mae (Hamilton) Ross, 81, of Falmouth passed peacefully at her home with her devoted husband of almost 59 years by her side, as she wished, on Wednesday, September 19, 2018. She was born on March 30, 1937 in Boston, MA. She overcame many challenges at a young age losing her Father at two and her Mother at age 14. She, along with her brother Howard Davis and sister Marlene Hamilton Farris were taken into foster care in Portland, ME. Graduating from Portland High School in 1957, she attended BYU, marrying Lawrence A. Ross in 1960. They moved to Long Beach, CA in 1960 where she later attended school at UCLA and worked for the State of California Employment Development Office. While working full time, she was a loving and devoted Wife and Mother. Tireless, she volunteered her time and was a member of the St. Matthew and St. Anthony School Boards. Retiring from the State of California as a supervisor after 28 years, she and her husband returned to Portland in 1988. In 1989, she became the records division manager of the Portland, ME Police Department. She served the city of Portland for 12 years retiring in 2001. Becoming the Matriarch of the family she so loved, known as “Nama”, she attended all athletic events of her three grandchildren; beaming with pride. Though she cheered for all the people she knew, there was never a doubt who her grandchildren were. Elaine was predeceased by her father Mellen Ross Hamilton, Mother Mabel Chabot, Brother Howard Davis and Sister Marlene Hamilton Farris. She is survived by her loving husband, Lawrence A. Ross of Falmouth and her son James “Ted” Ross and his wife Denise (DiPietro) of Cape Elizabeth. She also leaves her three grandchildren Christina E. Ross of Windham, James “Jamie” Ross of Fairfield, CT and Matthew J. Ross of Cape Elizabeth as well as numerous nieces and nephews. She will be forever loved and missed but never forgotten by her family and friends. Upon her wishes, there will be no services held.